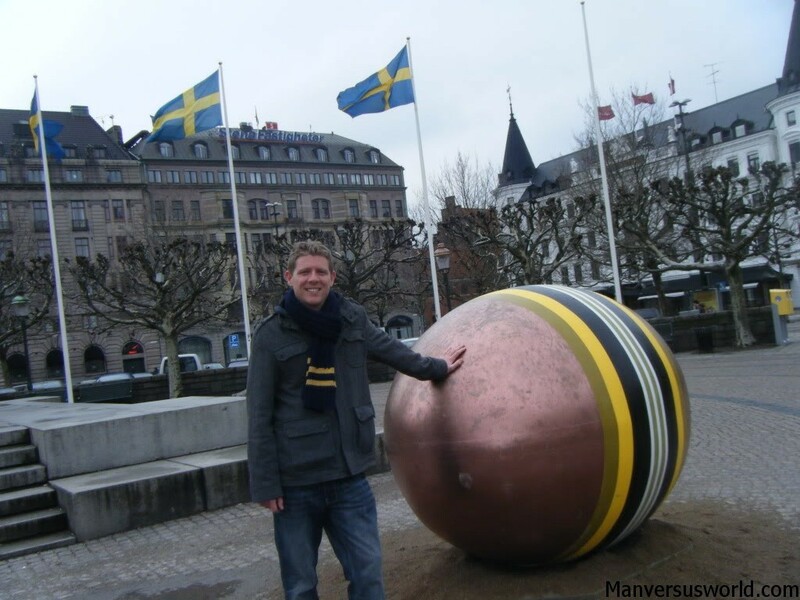 Because Europe all but shuts down on Easter Sunday – and there’s only so much to do in a chilly and mermaid-less Copenhagen – I caught a train to Malmo, Sweden in search of hot chicks and meatballs. What I found was a ghost town overrun by giant Easter eggs. But first my girlfriend and I had to travel across the Öresund Bridge, a long narrow bridge connecting Denmark’s capital with Malmo in Sweden. Spanning roughly 8km, it’s the longest road and rail bridge in Europe and makes for a far more enjoyable journey than the Eurostar from London to Paris or Brussels. We got off the train at Malmo just half an hour after we departed Copenhagen and that, my friends, is one of the main reasons why I love Europe. You can be in a completely new, completely different country in about as much time as it takes to convince a friend to drive you to the airport. Bleak, rainy and completely and utterly deserted, Malmo was all of these things and yet lovely and quaint at the same time. Clusters of old buildings flank large and interesting squares adorned with bronze statues of long dead heroes. 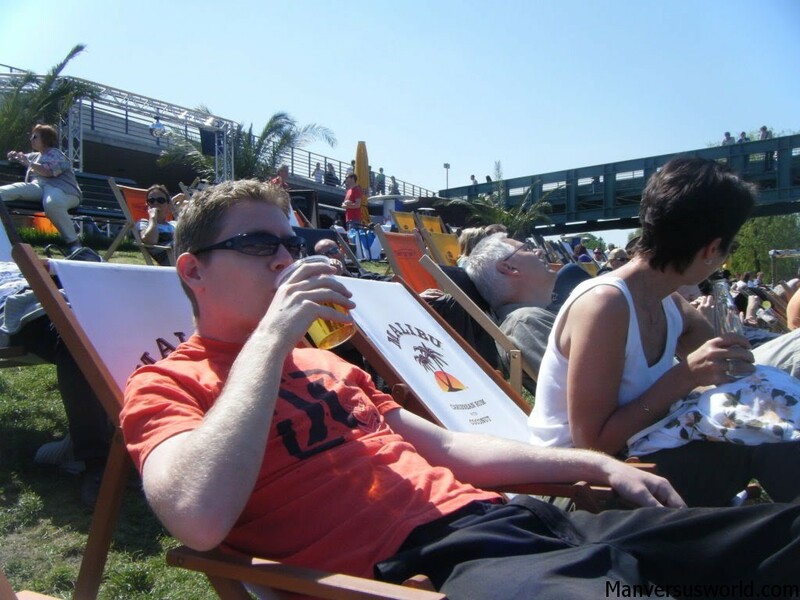 But it was Easter and the stately charm of Malmo was broken up by flashes of gold, electric pink and fluorescent orange. 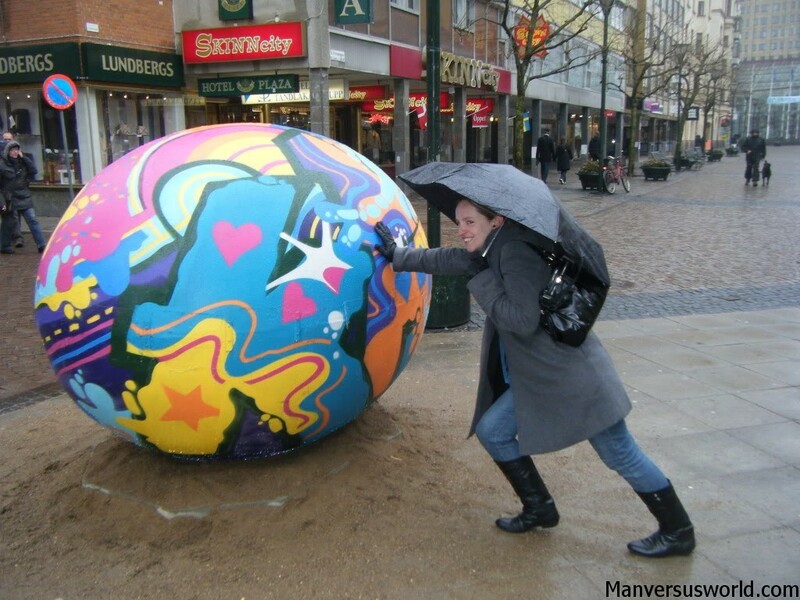 Giant Easter eggs were all over the city, brightly decorated in public spaces, practically screaming out to tourists to hunt them all down. So that is exactly what we did. 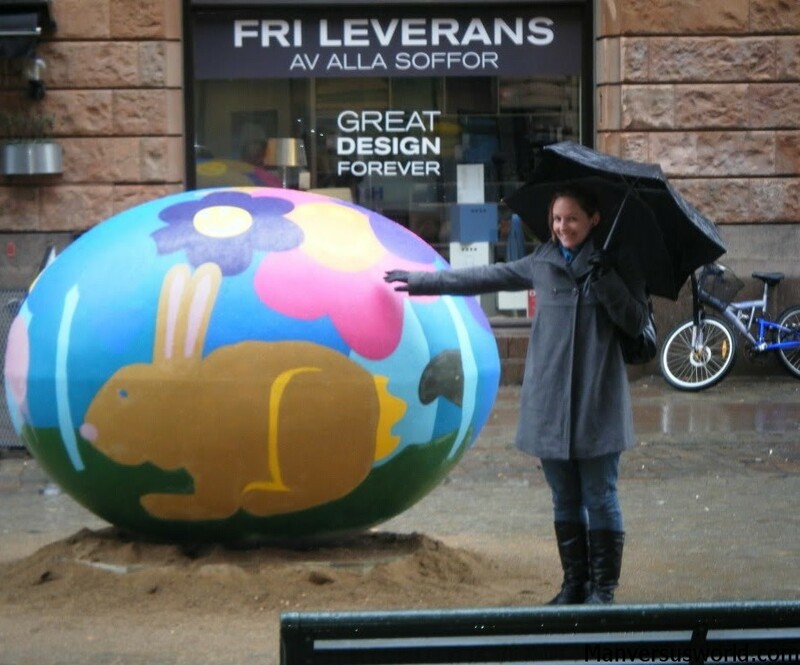 Embracing our inner child and, frankly, with nothing better to do with our Easter Sunday in Sweden, we set about on a giant Easter egg hunt around Malmo. If only they were made of chocolate and not fibreglass.